The Golden Kela Award is a satirical take on Bollywood, where awards are given for the worst performances. 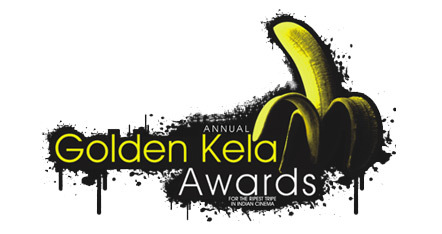 The Golden Kela Awards was created by Random Magazine, India’s longest running humor magazine in the year 2009. The first annual Golden Kela award ceremony took place on 7 March 2009 in New Delhi (India). The intention behind the Golden Kela is to ridicule the Hindi film stars and acknowledge the worst of Indian Cinema. Since, several award ceremonies each year celebrate the best of Hindi Cinema, Random Magazine and the Sundaas Film Institute chose to be different by giving away the Best of the Worst of Indian Cinema. The winners are selected each year by an online poll. Ek Second... Jo Zindagi Bana De?